Today we all heard the news of Robin Williams’ death through suicide. How sad. I do not read the news but I start my day by browsing Facebook, especially now that I’m in the last stretch of publishing my forthcoming book “Grieving Parents: Surviving Loss as a Couple”. The news feed today was full of Robin Williams’ pictures, quotes, movie references… a display of people’s love and admiration for his craft and talent of having an impact on people’s lives. “Why do bad things happen to good people?” is the most common version of the theological question around why evil is possible in this world. Religious parents are faced with the question why a good God permits the manifestation of evil, like the death of their child. Any variation of the post-loss “why” questions can become a way of amplifying loss. According to Dr. L. Michael Hall, by focusing on getting to acceptance as quickly as possible takes the semantic power out of the “why” question. If overused, the “why” question can become a way to amplify loss. I just want to know why! It is completely natural to want to make sense. Unfortunately, there is little to no chance of finding an answer that will quench the thirst for finding the answer that would explain the tragedy. In regards to suicide from depression I have personal experience through my mother’s death which apparently happened in a similar way as Robin Williams’ death. People suffer depression, no matter their IQ, EQ, the success or the amount of fame, friends, status, toys, things they possess. People commit suicide no matter how much they are loved, cherished, admired, known, in the public eye (or not). 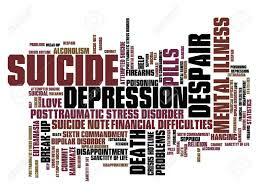 People, suffering from depression who commit suicide have people who love them and who have told them so every day. Depression is like a bottom-less cup where any love poured in evaporates, not through their ill will but because of their depression. In the moment of self-chosen death, many suicide victims have tunnel vision and do not think of the people they leave behind. I had some in depth conversations with my mum following her first few suicide attempts. I was 19 weeks pregnant at the time and was furious that she would have me go through grief while being pregnant with the twin girls. “I just wanted to end this pain, it had nothing to do with you or anyone else” – my mother’s words when we were talking about her previous attempts. “I know grief would be hard at the beginning but it will get easier with time,” she added… I shook my head in disbelief. She must be out of her mind. PREVIOUS POST Previous post: Can Poor Proofreading and Jargon Affect Your Search Engine Optimisation?